Good reporting here from Ragab Saad on EgyptSource. As is, not only does the current draft constitution challenge the concepts of human rights and freedom, it also allows the state to become a guarantor for society, defies the idea of a modern state and seeks to sow the seeds of a religious state in Egypt. The first part of the draft constitution stipulates the state’s protection of the “cultural and civilizational unity” of Egyptian society, adding that it shall ensure “the authentic character of the Egyptian family, and the protection of its traditions and moral values.” It also indicates that the state has an obligation to “empower authentic Egyptian traditions.” The use of such vague terminology can only be seen in the framework of the state’s efforts to impose a patriarchal understanding of society, one which allows interference in its citizens’ private lives. Ironically, the chapter on rights and freedoms imposes several restrictions. In Article 30, the draft constitution states that all citizens are equal before the law, and will not be discriminated against on the basis of religion and belief, among other things. Yet in Article 37, the draft constitution restricts the right to build houses of worship to the three monotheistic religions – Judaism, Christianity and Islam. Article 37 distinguishes between citizens on the basis of religion, and is an example of how the draft constitution itself contains contradictions. 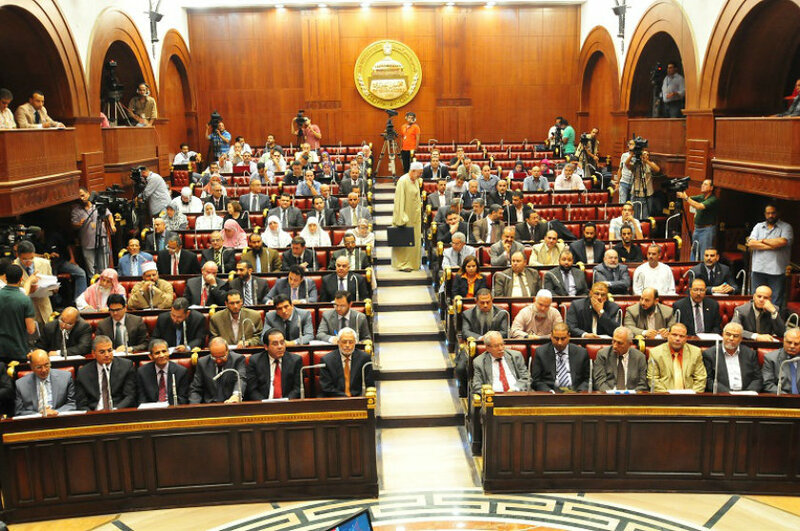 In regards to women’s rights, Article 68 (previously Article 36) ensures the equality of men and women without prejudice, as long as it is not in conflict with the “provisions أحكام of Islamic law.” This is another example of the draft constitution’s inconsistency, since Article 2 states that the “principles مبادئ of Islamic law” are the main source of legislation. This inconsistency reveals an inherent desire to move further away from the idea of gender equality, and chips away at gains made in Egypt in regards to women’s rights. If this constitution passes, it will be the first Egyptian Constitution that adopts a specific religious doctrine for the state. It also means that ancient texts on Islamic jurisprudence, and others that may not even exist anymore, will become sources of Egyptian legislation from which a parliamentary majority may select what it wants from its provisions, instituting authoritarianism in the name of religion. A legal challenge to the assembly writing the constitution has now shifted from the Administrative Court to the Supreme Constitutional Court. If struck down, President Morsy has granted himself the authority to institute a new body, and the process will start over. But the shift will take a minimum of 45 days, perhaps granting the assembly enough time to finalize the draft and present it to the public. Even the public referendum might be hurriedly tackled. What happens, however, if the court strikes the constitution down at this stage? More political chaos could be on the horizon for Egypt.